Our project task was to choose prejudices we had about the American culture. So we decided to pick the topic „fast food chains“, because we think that this is an important part of the modern society in the United States of America. It is a very huge industry and wherever you go in town, you see a franchise establishment. So what do we Germans think about the fast food businesses in the United States? of trash which is difficult to recycle. Only 28% of the used packaging’s are recycled, this is why they produce a lot of garbage. But there are not only negative aspects. The fast food chains are offer thousands of jobs to the citizens. For these jobs you do not really need a good education or a lot of competences, but often the employees do not earn enough money to feed their family so they have to get support. 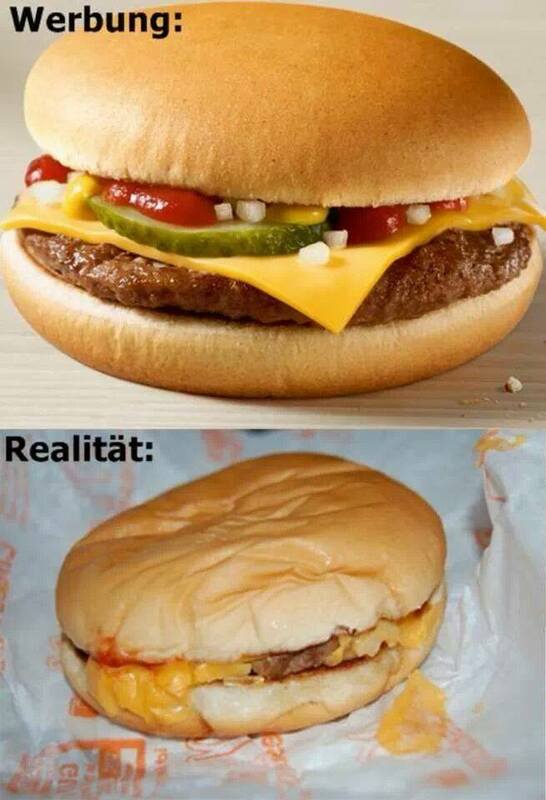 If we are honest we also love fast food and eat fast food in Germany and it tastes pretty good in Florida, „yummy“. Our first impression was that the helpings are bigger than in our country and you can refill your soft drinks as often you want in the fast food chains in Florida (but that is not that bad). This is a difference to Germany. We also claim that the American people do not really move for their food. They order their food or they go to the fast food restaurants by car. In our opinion, cycling or walking is a „no-go“ to them. Looking back into the past fast food has not always been that unhealthy and the fast food restaurants were not designed the way they are right now. When the fast food business started, these stores were considered quicker restaurants where the food would still be freshly prepared. But the wishes of the customers and their needs changed over time. And especially with Drive-Thrus, the consumers can get their meals even faster than before. They also changed the preparation of the food. Today most fast food chains deliver the food to their stores frozen. This way they can prepare it in an even shorter period of time, but in this form the fries, for example, are even more fat and unhealthy for them. So it seems that we have to blame it on us that fast food exists, is unhealthy and popular, because it just serves our wishes. To find out if our ideas are true or not, we decided to make a questionnaire and give it out at Bartow High School, and to people we met in our families. We prepared some questions about how much fast food the interviewed people eat or how much money they spend on it. Moreover, we asked the students if they have ever worked in a fast food store or what they usually drink to their meal. You can find our questions in the notes of our project. We spread our survey at school and in our exchange families. The people who answered our questions were 10 to 17 years old. The students who filled out our questionnaires were not surprised that the consumption of fast food is a prejudice that we Germans have about Americans. They laughed at us and said it is not only a prejudice rather it is true. The first question we asked them, was how often they usually eat fast food during one week. The result was that the students eat fast food around two times a week. Some people do eat fast food more than four times a week and that is very frightening. If you want to read the whole questionnaire, you can look at it at the end of this Project. Moreover, we asked them which fast food restaurant they prefer. We thought that the answer of these question will be unequivocally but it was not. More than 40% of the interviewed prefer the fast food chain „Chick-a-fil“ which is a fast food restaurant resident in the south of the US. The second place of our survey is Subway. It is the number one in the world, owns 42,760 branches (Mai. 05. 2015) and is in order to that the largest fast food chain in the world. The third most visited place was Wendy’s which is famous for the good quality of their food. The quality and flavor of the fast food was one of our questions, too. The students expect a good quality of the food but they do not want to pay a lot for that. That was the result of the answer to the 5th question of our survey. On average, the pupils reported that the quality of the food in the fast food stores is „okay“. On the one hand, they said that it was edible, on the other hand they also mentioned that it was good, too. Therefore they told us that the advertisement always looked great and high standard but often the reality is much worst. This was the outcome of our questionnaire as well. Furthermore, we asked the pupils why they eat in those fast food chains. Matching our expectations, most of the people answered that they prefer the fast, cheap and easy method to get their food instead of cooking it themselves. This is quite understandable, but some of them, even people who denied to like fast food, answered that they do it because of „convenience“, which makes up the dangerous trend. If even people who do not particularly like fast food keep going there, just because they are used to do it, their standards could go lower than before. This is very frightening because fast food is mostly greasy and sugary. These hidden ingredients damage our bodies and our health, that is the cause for people getting fat and sick. In addition, the students who were given our survey think about it in the same way we do. But why are they still doing it, when they know about these horrible consequences?! We also asked how long they have to go by car to reach the next fast food restaurant. Most answers were between 4 up to 10 minutes, some pupils only have to drive 2 minutes. That shows how many fast food restaurants are there. We also noticed that when we were driving through Bartow. Often there are more than four restaurants next to each other. Furthermore, the fast food chains often do not have a huge selection of dishes. 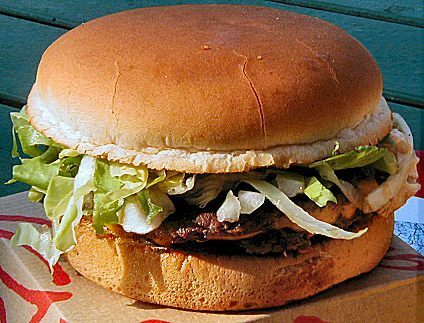 Nevertheless, it is cheap and a lot of people like it, this is why fast food is extremely popular in the United States. You can also find healthy fast food but it is not as popular than the „original“ fast food. Many students prefer Subway which sells healthy food compared to a lot of other food chains. That is also a result of our survey. In addition to our general questions about the fast food chains themselves, we asked some questions about the consumption of fast food. One was, how much money they spend on fast food in one month. The answers ranged less than ten dollars up to thirty dollars. Some of them said that they spend more than 50 dollars in only one month. That could mean that they eat one burger and some drinks every school day. In the second question we asked them what they drink with their meals. 20% answered with water, other 20% said they take soda or lemonade. 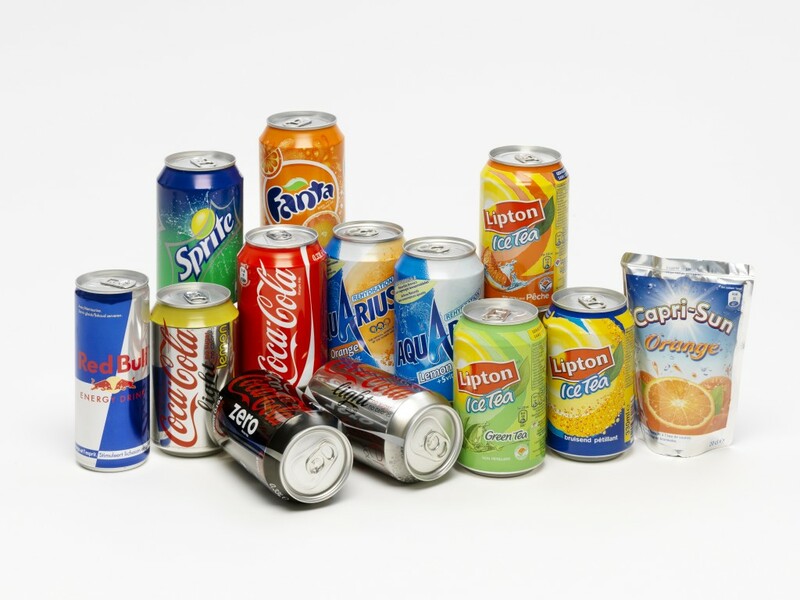 The rest drinks cola, Sprite, juice and 2% answered that they drink rood beer. This shows that 80% drink mostly unhealthy stuff, to their mostly unhealthy food. Apart from the general questions we decided to distinguish between girls and boys. The result is, that the boys eat fast food more often in a week, but spend less money on it, which means, the probably buy fast food which is more expensive and maybe has a better quality. Although there is no difference in the fast food chains they prefer. Another really striking point, some girls said they would eat fast food because it would be „good food“. That reminds us to another German stereotype that Americans do not even know, what is healthy or good anymore. The last question in our survey was if the students have ever worked in a fast food store because this is also one prejudice we had about the American students. The result of our questionnaire is that only 2% of the pupils who are between 14-16 years old, work in a store of a fast food chain. Concluding you can say that a job in a fast food company is not as popular as we thought before. We asked one student who worked there, why he has worked there and he said that he needed money but he only got a very little wage for a hard job. In addition the interviewee told us that he just worked there during the school holidays and that he could never imagine to work in a fast food chain for the rest of his life. Most people working there have to be supported by the government because the wage is not high enough to make a living. In the following paragraph, we will conclude the results of our survey and the experiences we made in our host families. At first we have to point out that our results are based on the behavior of the pupils from the Bartow High School and their families. So we cannot judge the prejudices referring to America as a whole. As we presented in our introduction, our prejudices were that those fast food chains are all over the US, do not pay their employees fairly, produce huge amounts of trash and are the main reason for many people in the US, eating continuously unhealthy. Most of these prejudices have proven to be right considering the results of our questionnaire and our own experience, but you cannot say that everyone living in America eats fast food daily. On the one side you have people spending over 50$ a month on fast food and going there daily. That creates a lot of trash that pollutes the environment and costs a lot of money for the government. On the other hand there are people who hate fast food restaurants and would not consider going there. Fast food is very popular in the United States, looking at statistics, but you should not just prejudge every American to be obsessed with fast food. From our own experience many families try to cook by themselves and mostly avoid eating fast food. Most of the American adults try to eat and cook healthy. They are as obsessed with fast food as we are. Here in America, fast food chains are bigger and it seems more normal to go to one of these, but in Germany we also eat fast food as often as they do, but maybe not in one these big popular chains, but maybe just in a little chip shop or in a kebab restaurant. They may have their extremes but we also have people who nearly only eat fast food or at least eat very unhealthy. So as a conclusion we can say that big fast food chains may be bigger here in the US, but from our experience they do eat as much fast food as we do in Germany. We just see these big chains which are all over the country and think „surely they are obsessed with fast food“ but we also have many fast food restaurants, they just do not look that fancy. This is an anonymous questionnaire which helps us to work on our project. This project is about the fast food companies in the US. Please answer these questions honestly, otherwise it does not help us.